He counts his family as his greatest achievement, he and his wife will celebrate 38 years of marriage this year (2018) they have three children and four grand children. 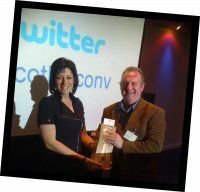 They enjoy the odd holiday and have travelled in Japan, China, Europe, Canada, America, Central America, Russia, The Baltic Capitals and the jungles of the Amazon and South Africa..
Bruce is seen here receiving a Magnum of Champagne from Catriona Shearer of the BBC at Scotland's National business convention 2011. 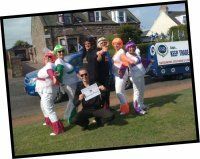 Colin is also a qualified motor machanic and continues to have an interest in auto repairs, he enjoys the occasional Gumball Ralay and is often found at Crail race strip with his pedal to the metal. 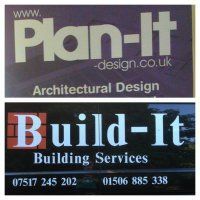 Plan-It and Build It - The complete approach to your construction Project.